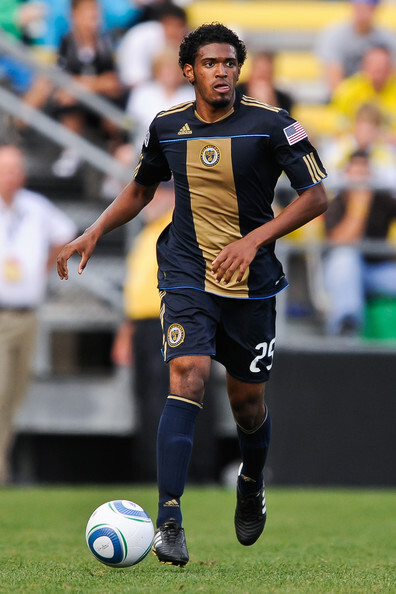 Sheanon Williams has come a long way since he signed with the Union in late August of 2010. Williams is in the midst of a stellar year and he’s a player Union fans are glad to have. His physicality and prowess going forward have proven to be both threatening and impressive against opposing teams. We spoke to Sheanon briefly about his season so far and his thoughts on the future. Sheanon Williams: We’ve had our ups and downs. We’re starting to put things together and get ready for the final stretch, trying to prepare every day for the next one. 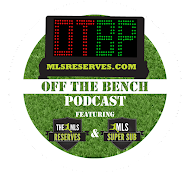 MLS Reserves: With the battle in the east as tight as it is, what is the vibe in the locker room going forward? Sheanon Williams: Everybody is optimistic… You know, I think we have a good locker room. We’re just looking at things one game at a time and trying to pick up points when we can. At present, the Philadelphia Union sit in fourth place with two games in hand over the second and third place teams. Their record is a respectable 8-7-10. Turning those ties to wins is absolutely crucial to the team’s playoff hopes. One of their best assets is Williams attacking out of the back. His speed is an obvious threat in attack, but also allows him to track back quickly. MLS Reserves: One of the trademarks in your game is your knack for getting forward. Is that something that comes naturally for you or is that something Peter Nowak has you doing consciously? Sheanon Williams: It’s something that I like to do but it’s something that Peter Nowak definitely encourages, so it has worked out well. MLS Reserves: When Coach Nowak defines your role on the team, what is it he’s telling you to do? Sheanon Williams: You know spread out the attack and try to get forward with crosses. Also, just to worry about my defensive responsibilities. It is certainly possible for Philadelphia to leap into the playoffs based on the standings. The east is so tight that every point is crucial. DC United likely represents the biggest threat of a dark horse team, however the Union have enough games in hand over the teams in places 1-3 that they can certainly dismount them from their seats. Houston and Kansas City occupy places two and three however one win and the union are tied for second. MLS Reserves: What is it the Union are looking to accomplish before the end of the year? Sheanon Williams: Right now we’re just trying to make sure that everything is together and to stay as a team. We’re looking forward to every game and right now we’ve got two home games here this week. We want the full amount of points while we’re at home. Keeping consistency and reducing distractions will be key. One might argue it was distractions that allowed the Union to slip from their hold on the Eastern Conference. Things seem to have been righted recently though. Williams has been a mainstay throughout. MLSReserves: You guys have had some high profile moves with Carlos Ruiz leaving and Freddy Adu coming in…how does that affect you guys in training? How do you keep things consistent and is it frustrating? Sheanon Williams: You know it’s gonna happen. I’m sure every team has to deal with a little bit of something, be it old players leaving or new ones coming in. That happens and you just deal with it. It’s not for players to pick and choose. It’s a coaching decision and that’s pretty much the end of it. MLSReserves: When you look at last years Union team to this years, what would you say the biggest difference is? Sheanon Williams: Experience. I think that guys having a full year in MLS gives us things people understand more. From last year to this year, there’s just more experience and strength. MLSReserves: Philly fans are well known. What is it like having such a supportive crowd game in and game out? Sheanon Williams: It’s been really good. I think the fans here have been very supportive of us. That’s definitely a big help. It’s something that we can rely on and we know that it’ll be there week in and week out. The support here has been great all year and we expect that to continue. What many fans may not know is that Williams plied his trade in North Carolina before going on trial oversees and eventually ending up in Philadelphia. Williams played for the Carolina Dynamo of the PDL in which he earned All-Eastern Conference honors. He also played for the University of North Carolina in 2008. MLS Reserves: Can you talk about your time in Carolina both with the Tar Heels and with the Carolina Dynamo? In particular how it helped prepare you for the professional game. Sheanon Williams: I had a really great time at Carolina [UNC]. We did really well while I was there… playing in high stakes games in the tournament against Maryland. Definitely a lot of fun and definitely a big help for me. Williams only spent a year with the Tar Heels before choosing to explore his options as a professional. One can hardly blame Williams. He spent time training in Bradenton, Florida with the U-17 residency program. He played with both the US U-17 and U-20 teams. With those teams he’s played in youth World Cups across the world in Korea and Egypt. MLSReserves: What motivated you to turn professional so early? Sheanon Williams: I was thinking about this before and after a year in college I felt it was a good time for me to leave with the U-20 World Cup coming up. Having to miss parts of that season anyways I just felt it was the right time to go. MLS Reserves: Are you happy with that decision? Sheanon Williams: Yeah, I think that it was the right decision and I’m happy where I landed. MLS Reserves: After playing with youth national teams, are you looking to break into the Olympic Roster? Sheanon Williams: It’d definitely be a goal of mine, but I’m going to just focus on the job here. If something happens down the road then that’ll be great. 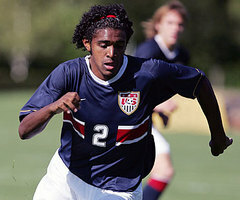 Williams with the US youth teams. Williams is young and has shown promising improvement from his time with the Harrisburg City Islanders to signing with Philadelphia. His 2011 year has been stellar and one of promise. Already he’s logged over 2000 minutes played and has notched a goal and two assists. While the points there may not be staggering, they do little to show how much his presence opens teams up, particularly when coming from such a defensive position. Philadelphia fans have a player in Sheanon Williams that holds a bright future with the potential for greatness. At present he is a part of a formidable defense which commands respect. This is certainly a player to watch for the future, not just for Union fans, but for MLS fans.